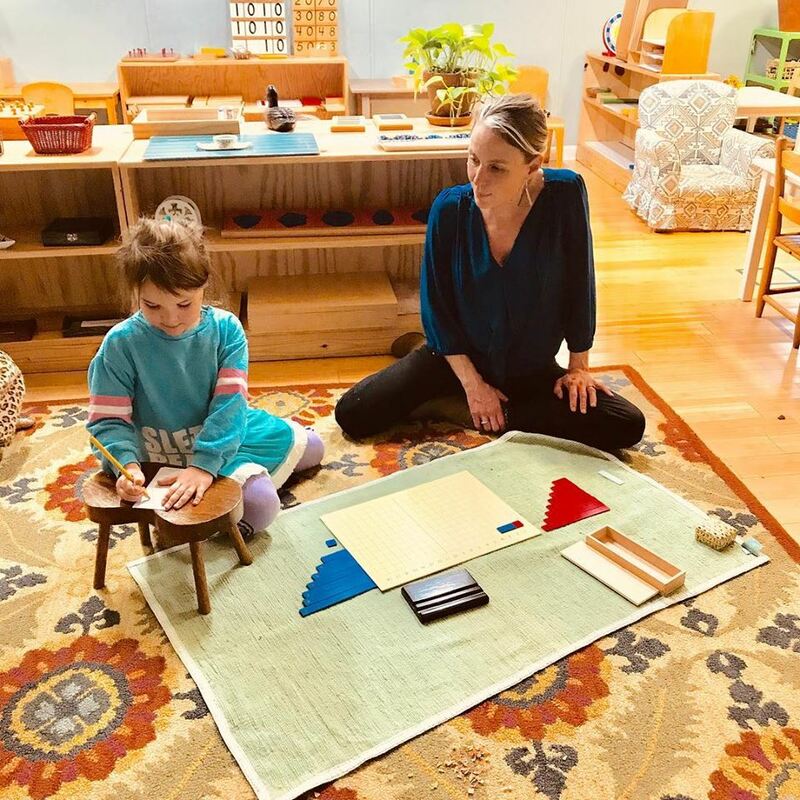 The Montessori Primary program is an especially prepared environment geared to the size, pace and interest of children ages two and a half to six years. The children are a community of workers who act on their own initiative, meeting needs through individual, spontaneous activities. Practical Life: These exercises instill care for ones self, others and for the environment. Activities include many of the tasks children see as part of the daily routine in their home, such as preparing food and washing dishes, along with exercises of grace and courtesy. Through these tasks, children develop muscular coordination, enabling movement and the exploration of their surroundings. They learn to work at a task from beginning to end, and develop their powers of concentration and control. 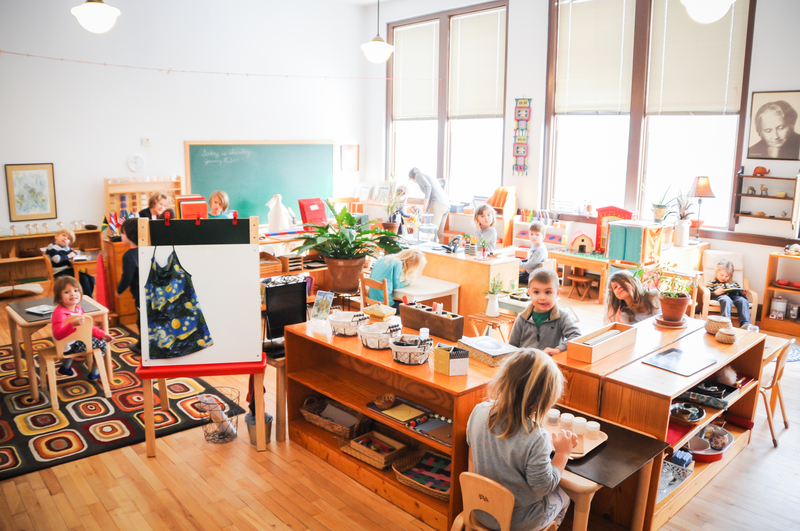 Sensorial: Materials in this area of the classroom serve as tools for development. 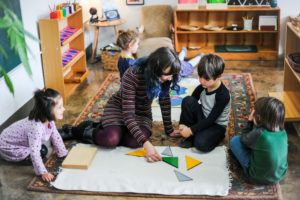 Children build cognitive skills and learn to order and classify impressions by touching, seeing, smelling, tasting, listening, and exploring the physical properties of their environment. Language Arts: Language development is vital to human development. 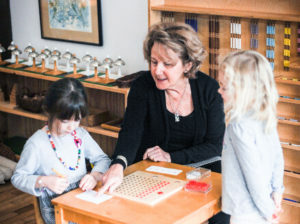 The Montessori environment is rich in oral language opportunities, allowing the child to experience conversations, stories, and poetry. The sandpaper letters help children link sound and symbol effortlessly, encouraging the development of written expression and reading skills. To further reading development, children are exposed to the study of grammar. Geography, Biology, Botany, Zoology, Art and Music: These are all presented as extensions of the sensorial and language activities. Children learn about people and cultures in other countries with an attitude of respect and admiration. Through familiarity, children come to feel connected to the global human family. Lessons and experiences with nature, inspires reverence for all life forms. The comprehensive art and music programs give children every opportunity to enjoy a variety of creative activities, as well as gain knowledge of the great masters. Mathematics: Math activities help children learn and understand the concepts of math by manipulating concrete materials. This work gives children a solid understanding of basic mathematical principles, prepares them for the later abstract reasoning, and helps to develop problem solving capabilities.